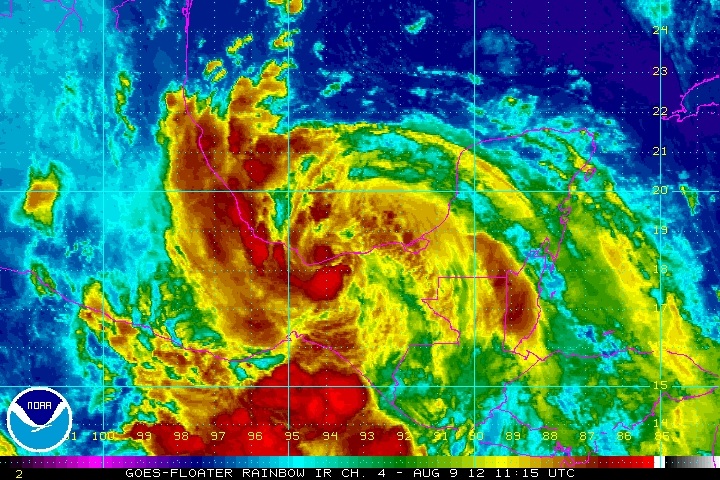 Tropical Storm Ernesto. Thursday Aug 9, 2012. IR Satellite Images Of TS Ernesto At 5:15 AM MDT. NHC Forecast Track Of TS Ernesto. Tropical Storm Ernesto is on the verge of becoming a Hurricane once again. At 6 AM MDT, Ernesto was located about 40 miles east-northeast of Coatzacoalcos, Mexico. 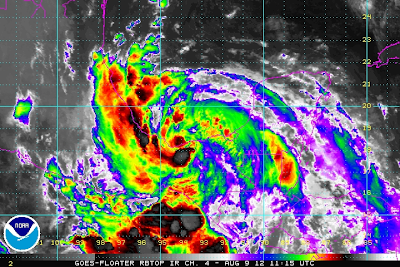 He is moving westward at 13 mph. 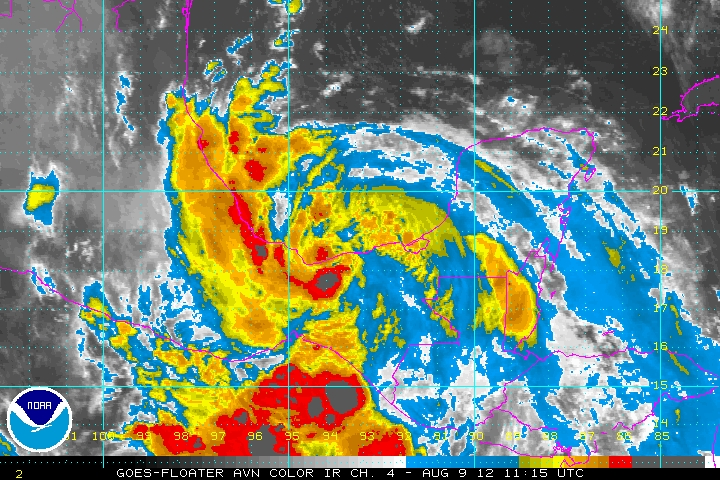 Ernesto has sustained winds of 70 mph with higher gusts. His central pressure is 29.32" or 993 MB's. 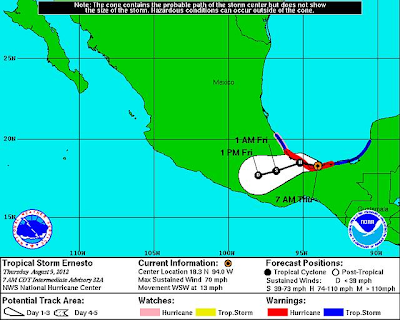 Tropical Storm Ernesto is forecast to make his second landfall in Mexico later today, and then continue westward while dissipating over the mountains of Mexico by tomorrow.